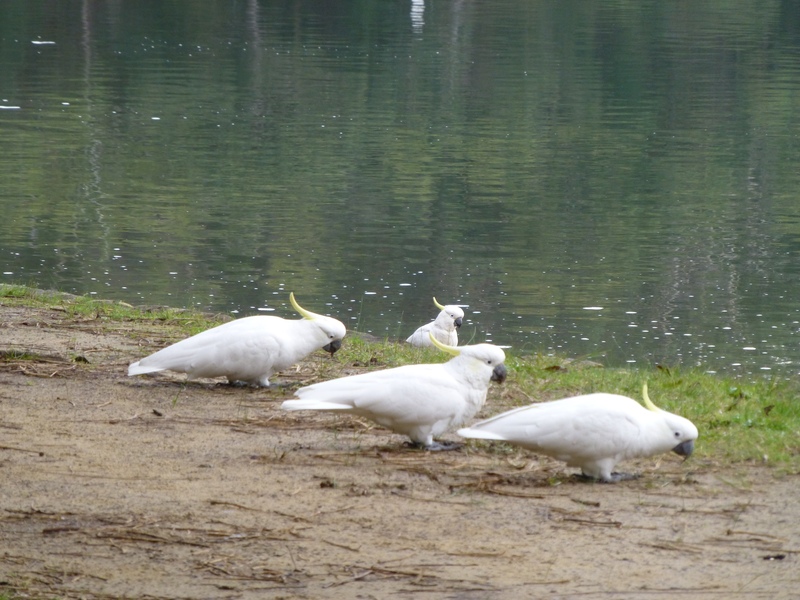 There’s no shortage of Sulphur-crested Cockatoos in the local park, and they seem to particularly like being near the river. So often I see them there – on the shore, in the trees, or in the sky. They’ve cornered the market in homes with water views, for I see them making nests in prime areas such as in the tall gum trees nearby. Small wonder they always seem exuberant. 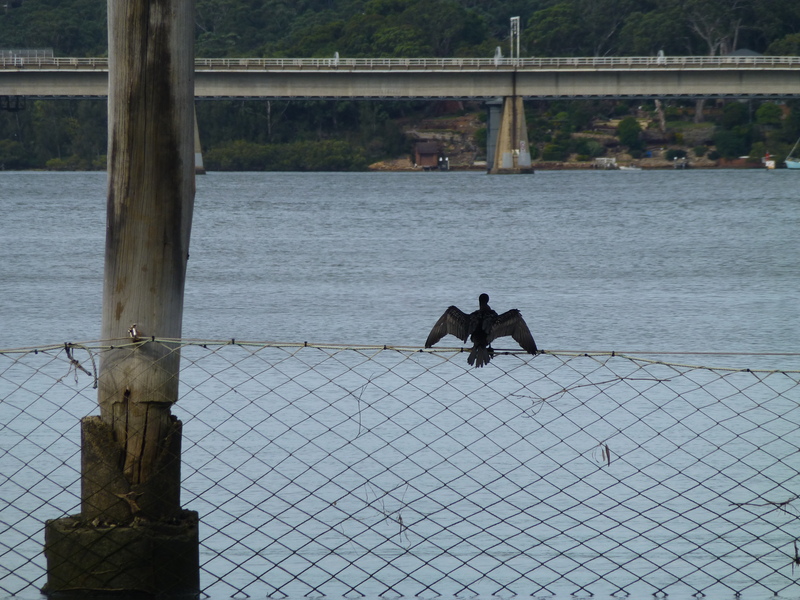 Maybe because it’s midwinter, I often spot Little Black Cormorants, wings outstretched – drying off in the sunshine. Nearly every day I see a flock of them perched atop the shark-proof net. En mass they are quite an impressive sight. I’ve even seen them interspersed with white Egrets. That is fantastic! Enjoy this shot of a single bird as it rests. Stop Press: Any minute now, ‘Encore’, a collection of twenty-five short stories of romance and humanity, will be a Countdown deal on both Amazon US and UK. If you like sweet, clean short stories, then maybe this is for you! Don’t miss it at this rock-bottom price! 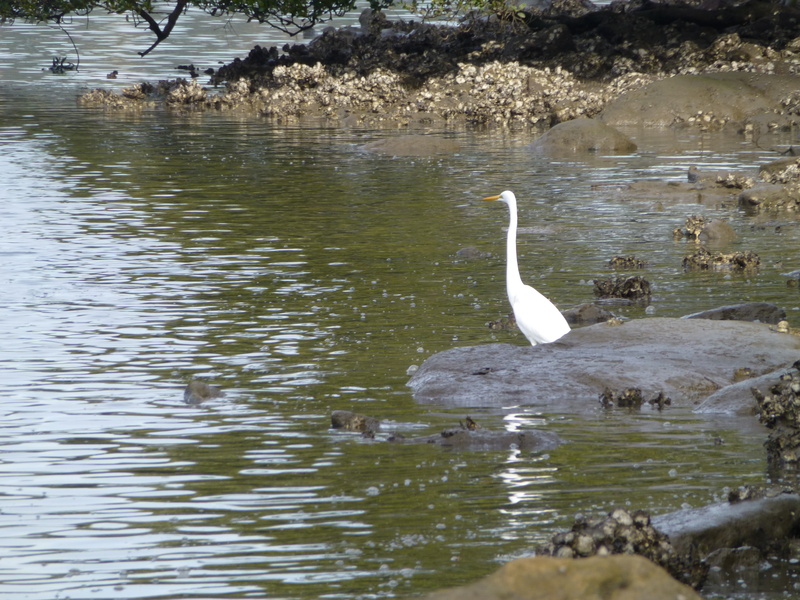 A Welcome Visitor: An Elegant Egret! Over the past week or two I’ve seen quite a few of these magnificent white birds as they visited the local swimming baths. They are often on their own, but now and then I’ve had the privilege of seeing a flock of four or five. This photo was taken while one rested on a rock near the small, secluded beach.